Harken 4-point hoister system - the Harken Hoister will give you the extra storage you need in your garage or studio space. Now you can store your canoe and kayak up and out of the way without breaking your back. The Harken Hoister also has a patented stainless steel self-locking cleat that automatically locks and prevents accidental release - even if you drop the line. Another wonderful feature is the mechanical advantage system lets you can hoist and lower these large items by yourself. 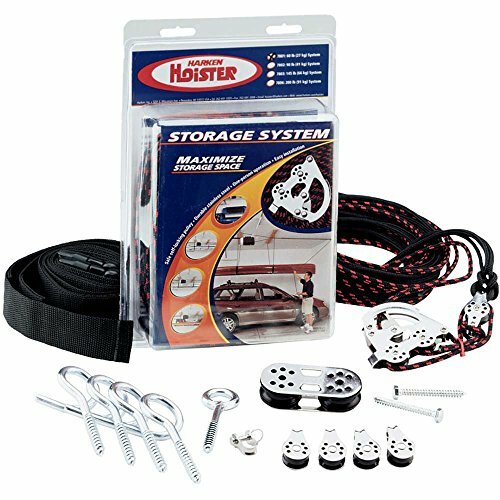 The Harken Hoister works with almost any height ceiling, and come with everything you need for installation.